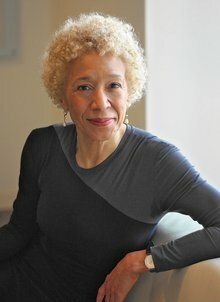 MARGO JEFFERSON remembers what she calls “Negroland”—the world of the black elite in the fifties, the world in which she grew up. She won the Pulitzer Prize in Criticism for her work at the New York Times; now she’s professor of writing at Columbia University School of the Arts, and she has a new book out: Negroland: A Memoir. Also: GREIL MARCUS has written many books, starting with the classic Mystery Train and including the unforgettable Lipstick Traces. Now he has several new books coming out, starting with Three Songs, Three Singers, Three Nations; then the monumental Real Life Rock, the complete collection of his columns over the last 30 years; and he’s found new way of talking about our past: The History of Rock ’n’ Roll in Ten Songs.